Spring has most certainly sprung and to celebrate we've partnered up with Tickton Grange to offer you the chance to win a romantic getaway to one of Yorkshire's finest country-house hotels. 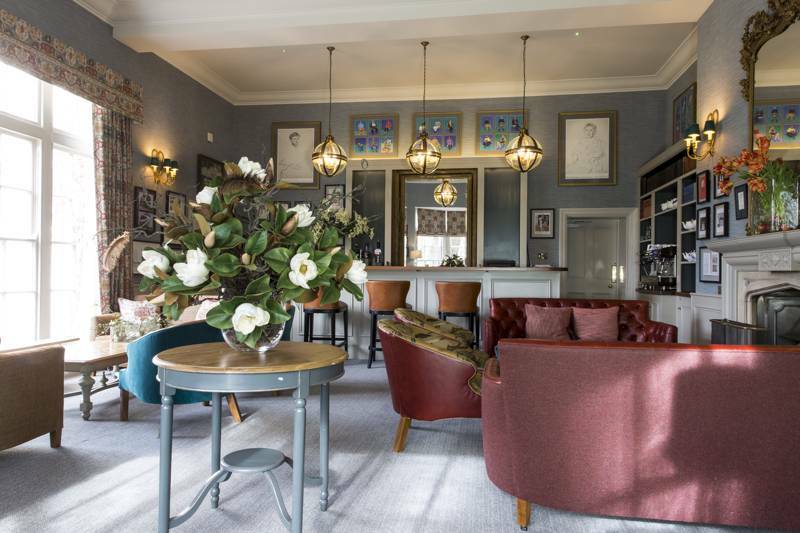 You'll be able to enjoy a 2-night stay in their fabulous Dearing Suite along with dinner in their fabulous restaurant, Hide, on your first night, and then supper from their Relaxed Menu in the Library Bar on the second night. You'll be well looked after during your stay – Tickton Grange is renowned for beautiful accommodation and great food and service – and with both Beverley and Bridlington on your doorstep, you'll be able to explore the beautiful surroundings of East Yorkshire too. The competition starts at 10am on 4 April, 2019 and ends at midnight 18 April, 2019, and couldn't be easier to enter – just click the button below to send us an email and you will be automatically entered into the competition and signed up to the Cool Places and Tickton Grange newsletter lists. If you're already signed up, you can still enter - and by doing so you will indicate that you wish to remain on our databases. Good luck and please read the Ts&CS below! The winner will be picked at random and announced before the end of April 2019. Just enter your details and click the button below and you will be automatically entered – and signed up to the Cool Places and Tickton Grange newsletter lists. Good luck and please read the Ts&CS below! The competition starts at 10am on 4 April, 2019 and ends at midnight 18 April, 2019, and the winner will be picked at random and announced at the end of April. Sorry, this competition is not currently accepting new entries. 1. This promotion is open to UK residents, excluding employees of Cool Places, Tickton Grange, their families, affiliates and anyone else directly connected with the promotion. 2. Entrants must be 18 years or over. 3. In order to qualify for this competition, entrants must send an email saying 'ENTER" to Cool Places. The competition will begin at 10am on Thursday April 4, 2019. Any person who emails before then will not be eligible. 3. 1 The closing date for this promotion is midnight on Thursday 18 April, 2019. Any person who emails after this date will not be eligible. Emails received up until midnight on Thursday 18 April, 2019 will be eligible. 3. 2 We accept no responsibility for damage or loss resulting from misdirected or incomplete entries arising from computer malfunction, viruses, bugs or telephone malfunction or other such causes. We are in no way liable for the reproduction or indirect access via third party websites which misstates or omits any of the information or terms and conditions connected with the promotion. 3. 3 All entrants who send an email between the two key dates will be entered into a draw and the winner will be picked at random, within 7 days of the closing date. 3. 6 The winners will be notified via email within 7 days. The name of the winner may be published on the www.coolplaces.co.uk, on social media platforms and may be used in other marketing emails. 4. The prize consists of a 2-Night Stay at Tickton Grange in the Dearing Suite & a meal in their restaurant Hide the first night and a meal from their Relaxed Menu in the Library Bar on the second night included, is subject to availability. 4. 1 The prize is subject to availability and no cash alternative will be offered. The prize is non-transferable and cannot be used in conjunction with any other offers, promotions, or discounts. The winner is responsible for transport to and from their chosen location. 4.2 In the event of unforeseen circumstances, the competition promoter’s reserve the right to offer an alternative prize of equal or greater value should the specified prize become unavailable. 4. 3 The promoters reserve the right to cancel or amend without notice the terms of this promotion and any prize issued in the event of major catastrophe, war, earthquake or any actual or anticipated or alleged breach of any applicable law or regulation or any other circumstance beyond the promoter’s control. 4. 4 The promoters cannot be held liable for any failure by third parties to fulfil their obligations or for any acts or omissions outside their control. However, the promoters will endeavour to minimise the effect of any such failure. 5. By entering this promotion all participants will be deemed to have accepted and be bound by the rules. All entry instructions form part of the rules. Any breach of these Terms and Conditions will result in a forfeit of the prize. This competition is promoted by Cool Places Ltd, 81 Rivington St, London EC2A 3AY. Entries should not be sent to this address.